While a landlord owns the property rented out to tenants, tenants have rights that are guaranteed by law. In Nevada, these rights are detailed in several statutes, including Chapter 118A of the Nevada Statutes, which governs the obligations of both tenants and landlords. This chapter also defines the terms used in rental law in Nevada, such as what constitutes "normal wear" and what constitutes a "dwelling unit." The Nevada Revised Statutes (NRS) 118A.260 states that the landlord has a legal obligation to provide the tenant with the name and address of any person who has permission to enter into a rental agreement on behalf of the landlord, and also to provide the name and address of anyone who is an authorized manager of the premises. The name and the address of the owner of the property, whether an individual, individuals or a corporation must also be provided. This information must be provided to the tenant on or before commencement of the tenancy. A landlord can expect reasonable access to property for the purposes of inspecting the condition of the property, making repairs or decorating the property, providing agreed services and showing prospective buyers around the property. The landlord must give the renter at least 24 hours notice before entering the premises and must not use this right of access to harass the tenant. Access is restricted to reasonable times during normal business hours, although the tenant may agree to shorter notice or to allow access outside normal business hours. Landlord access is explained in NRS 118A.330. Tenants are obliged to comply with the terms of the rental agreement and to keep whatever parts of the property occupied under the terms of the rental agreement as clean and safe as possible. This includes the removal of garbage and any ashes from fires. The tenant must not through negligence allow the property to become uninhabitable, nor can the tenant damage or deface the property or act in any way that might disturb the peace of the neighbors. The tenant is responsible for ensuring any guests to the property also conform to this obligation, which is fully explained in NRS 118A.310. Lancett, Peter. "Renters Rights Laws in Nevada." 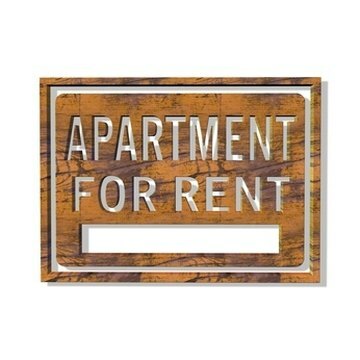 , https://legalbeagle.com/6365730-renters-rights-laws-nevada.html. Accessed 21 April 2019.